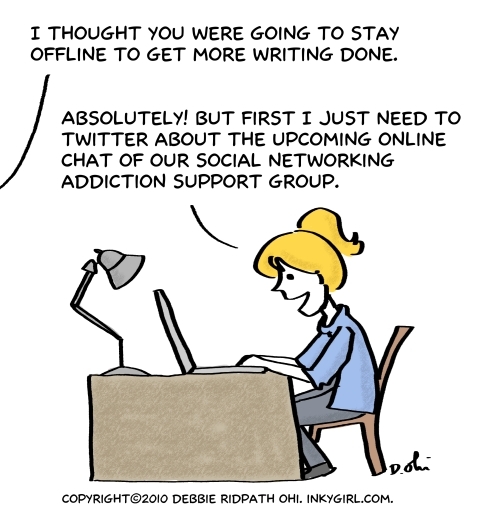 This entry was posted in Blogging, Computers, Writing and tagged Cartoons, Computer Addiction, Inky Girl, Networking, weekend, Writing. How true that is. Thanks for the laugh! This was a fun post. To answer your question, I edit the way I garden. I constantly tweak, trim, pick and pluck. Sometimes I transplant, prune and replant. I love gardening almost as much as I love editing. Thanks for stopping by my blog and commenting so I could follow you here. Your blog is beautiful and full of freshness! Thanks for visiting here, Cat. I always enjoy the opportunity for exchanges with a fellow writer, especially one who loves gardening, too.